DMW boss and his promising protege, Peruzzi are busy working on a joint EP project if the question OBO asked is anything to go by. 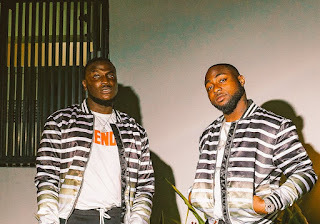 Davido took to twitter to asked his fans if they are ready for his EP with Peruzzi. The duo have been caught up on several occasions in the studio working together and must have definitely been recording songs for the forthcoming EP. Let's keep our fingers crossed and expect something huge from the DMW camp.